How Much Should I Take for High Blood Pressure? My recommendation is to either consume eight ribs of celery per day or take a celery seed extract standardized to contain 85 percent 3nB and other celery phthalides at a dosage of 75 to 150 mg twice daily. Can I Take Celery Seed Extract With Conventional Anti-inflammatory Drugs? Yes. There does not seem to be any adverse interactions with conventional drugs. Since the effects of celery seed extract have not been evaluated on pregnant women, it is generally recommended that it not be used during pregnancy or lactation. No other contraindications are presently known. I would advise as a precautionary recommendation that people taking the drug Coumadin (warfarin) be closely monitored by their physician when starting to use celery seed extract. How Does 3nB Work to Produce All of These Benefits? Based upon all of the existing research, it is clear that 3nB exerts a profound effect on many of the body’s control systems—chiefly the prostaglandin system. Prostaglandins are chemicals that control many important body processes, including regulating inflammation, pain and swelling; blood pressure; and heart, digestive and kidney function. a huge profit. It does not look like that line of research is necessary, however. 2. Tsi D and Tan BKH: Cardiovascular pharmacology of 3-n-butylphthalide in spontaneously hypertensive rats. Phytotherapy Research 1997;11:576-82. 3. 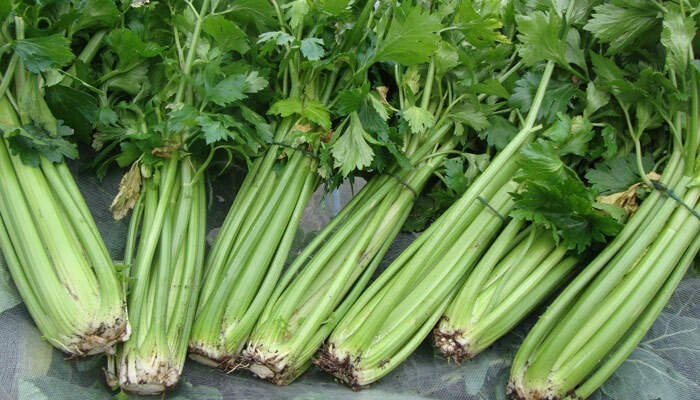 Le QT and Elliott WJ: Dose-response relationship of blood pressure and serum cholesterol to 3-n-butylphthalide, a component of celery oil. Clin Res 1991;39:750A. 5. Yu SR, Gao NN, Li LL,Wang ZY, Chen Y and Wang WN:The protective effect of 3-butyl phthalide on rat brain cells.Yao Hsueh Hsueh Pao 1988;23:656-61. 11. Zhang LY and Feng YP: Effect of dl-3-n-butylphthalide (NBP) on life span and neurological deficit in SHRsp rats.Yao Hsueh Hsueh Pao 1996;31:18-23. 12. Zheng G, Kenney PM, Zhang J and Lam KT: Chemoprevention of benzopyrene-induced forestomach cancer in mice by natural phthalides from celery oil. Nutr Cancer 1993;19:77-86.